Do you use any heat protection before using any heated styling products on your hair? If your answer is "yes", then that's great. However, if you're like me, there are times where I can't find my heat protectant or if I'm in a rush, I forget to use it on my hair. It's quite annoying as I know that I'm just damaging my hair in the long run if I don't use it. 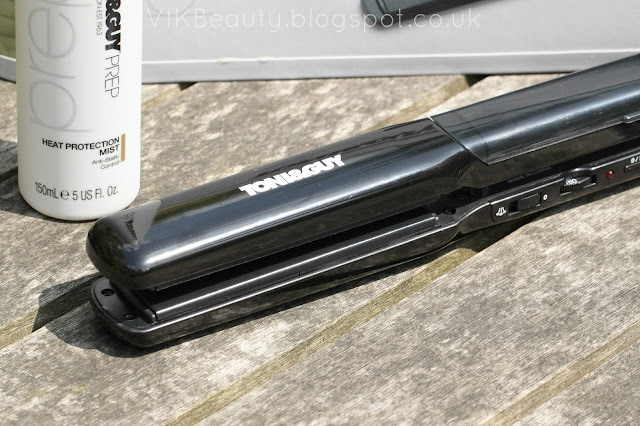 Well, there's a straightener on the market that has become a good friend - the Toni & Guy Infusion Straightener*. This straightener as you will see below, is one of a kind. It is described as a "hair saviour on a mission to serve and protect your hair during every use" - Yes please! 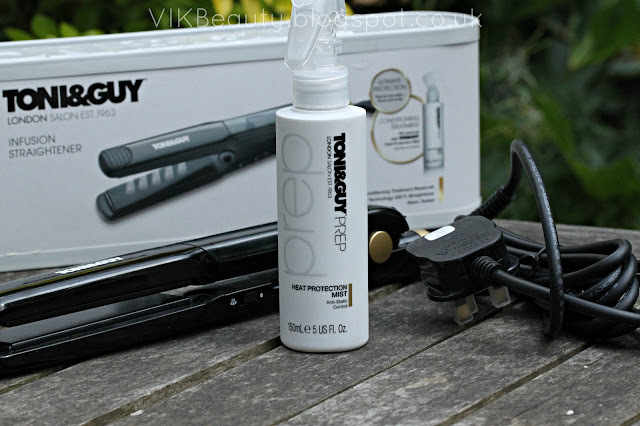 So what is so great about the Toni & Guy Infusion Straightener I hear you ask? Well it contains a "Unique Conditioning Reservoir" specically designed to be filled with the Toni & Guy Heat Protection Mist. 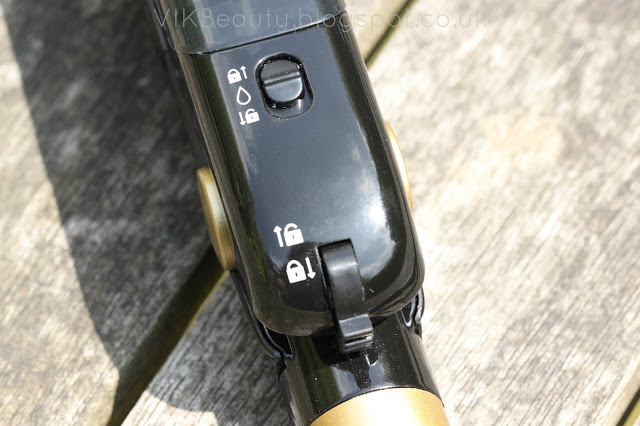 The idea is that while you straighten your hair, the mist is dispensed onto your hair at the same time. This ensures your hair is protected against any heat damage. It does not dispense the mist automatically unless you switch the infuse button on. Now I don't know about you, but this is the first straightener I have seen around with this functionality. I think it's great and when I straighten my hair, I don't feel so bad. The straightener is extremely solid and feels quite heavy compared to other straighteners I've had in the past. But that isn't a problem, just an observation. Although you can't see it from the pictures below, the ceramic plates are large (32mm) and wide which I really like as I'm able to straighten a larger portion of hair each time. It has five temperature settings - 160, 175, 200, 215, 230c. 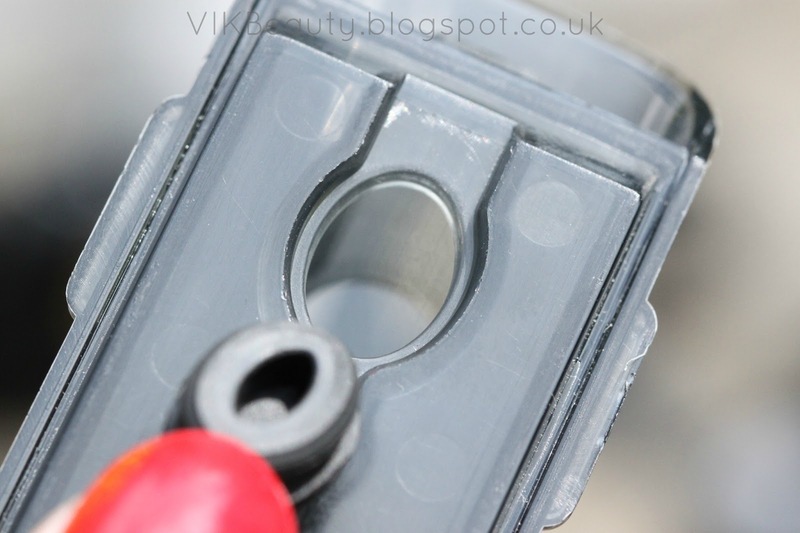 The Unique Conditioning Reservoir sits at the top of the straightener and is detachable. The Toni & Guy Heat Protection Mist which helps to prevent your hair having that static effect which can be extremely annoying. The mist itself does not come with the straightener but has to be bought separately. 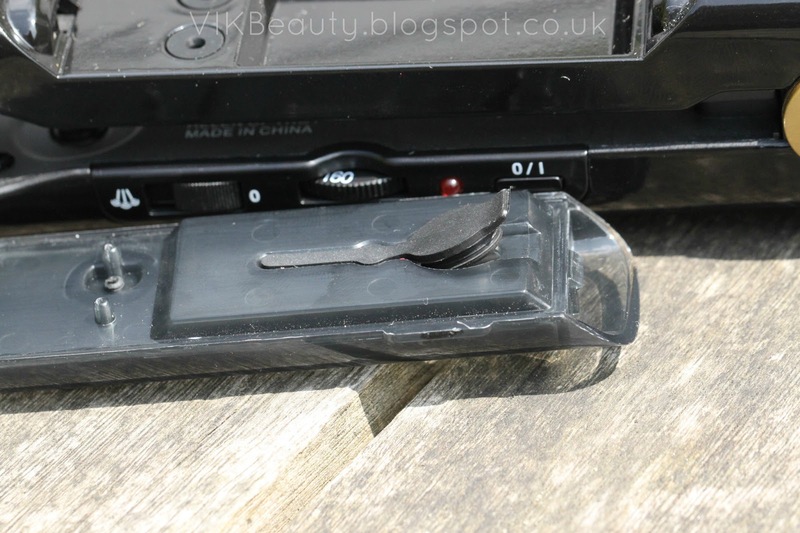 It retails at £6.39 from Boots. Another impressive feature with this straightener is that it has a lock effect. Which is helpful when you are storing it. So does it work? Yes yes yes! The straightener only took a few seconds to heat up. My hair was extremely straight and shiny especially when the heat protection mist was dispensed. It is definitely my favourite straightener to date. 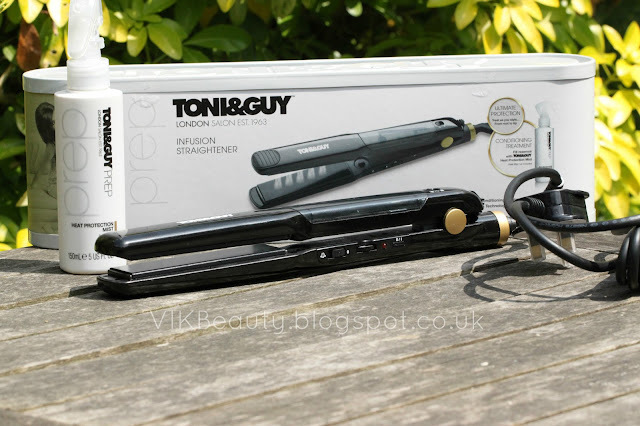 The Toni & Guy Infusion Straightener retails at £80 and will be exclusive to Boots. If you're due to buy a new straightener soon, I would definitely consider getting this one. 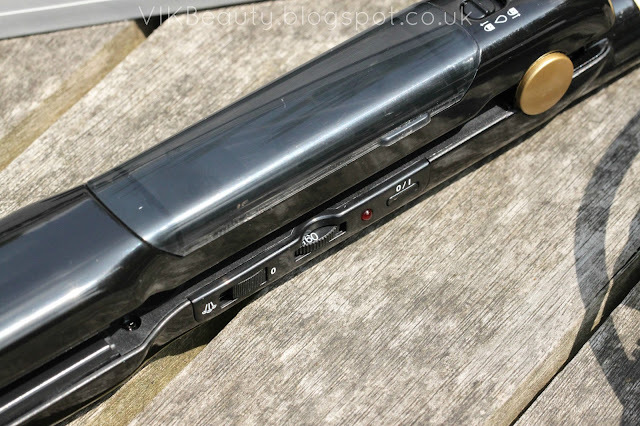 What do you think of this straightener? Is it something you would be interested in? *** Don't forget you can follow me on twitter, instagram, facebook & bloglovin! I have a question! 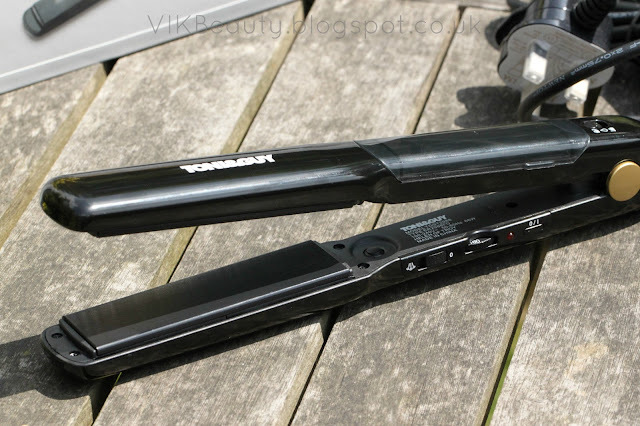 Does your hair sizzle as you straighten? I usually wait for my heat defence to dry before straightening, so wondering how this works in terms of straightening over wet product?? Awesome review, thanks for sharing. For £80 they could at least put in 1 bottle of the mist for free.